Enjoy your belt. 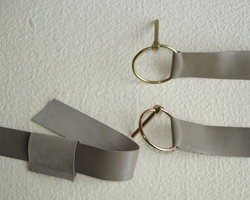 The buckles are unique and a bit unusual, but they are fun and flexible once you are used to them. See below how they work. If your belt has a bag attached, you can remove it. Tie the enclosed strap — going through the belt loop — and you have your handy shoulder bag. 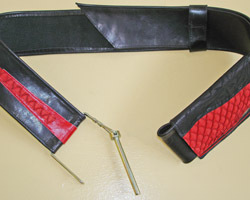 Belts with bags are convenient for every-day use or traveling (passport fits) and are adjustable. 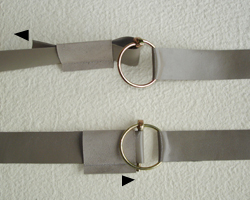 1—Open square buckle by pulling slightly apart. 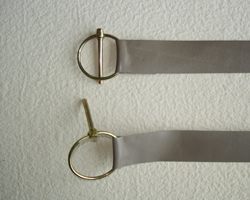 2—Insert into the loop of the belt. You can adjust the length of your belt. 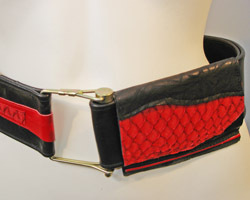 Important: Slide the decorative piece close to the buckle. 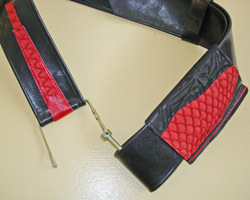 1–To open, push down the center of the buckle. 2—The center piece is now on top. Insert the center piece from the top through the loop. 3—Adjust the length of your belt. 4—Fold the ring down to close. Important: Slide safety loop tightly to the buckle.